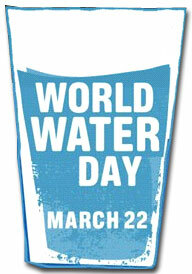 San José, CA – March 7, 2013 ---March 22 marks the 20th anniversary of International World Water Day. By decree from the United Nations General Assembly, this year’s theme of “International Year of Water Co-Operation---Make Every Drop Count,” is a day that focuses on the importance of freshwater and the sustainable management of freshwater resources. Just in time, History San Jose is hosting a Coyote Creek Cleanup, as well as its exhibit, Shaped by Water: Past, Present and Future. History San José will celebrate World Water Day on Saturday, March 23 by inviting the public to a cleanup of the banks of Coyote Creek, that runs between History Park and Happy Hollow Park and Zoo. Partnering with Bright Green San Jose, Santa Clara Water District and Watershed Watch, History Park will raise awareness of the significance of water. "The importance of water is life itself, and don't we all take it for granted?" asks Alida Bray, President and CEO of History San Jose. "With World Water Day and the exhibit Shaped by Water: Past Present & Future we are reminded that when history meets the present day, it is important to plan for the future." Coyote Creek is one of the largest watersheds in the Santa Clara Valley. Sixteen major creeks drain the 350 square miles that comprise the watershed, which eventually meets tidewater and becomes part of the salt marsh at the foot of the San Francisco Bay. It is home to over one-half million people, and provides a habitat for a wide variety of plants, fish and animals and runs from Milpitas to Morgan Hill. In keeping with the theme, a Spring Egg Hunt will take place for children ages 2 to 9 on the Firehouse Lawn. Registration for the egg hunt is from noon to 12:45 PM on the porch at the Pacific Hotel, with the hunt beginning at 1 PM. Donation is $2 per child. Inside the Gallery of the Pacific Hotel is Shaped by Water: Past, Present and Future, an exhibit depicting how water has literally shaped the history of Santa Clara Valley, and highlights what challenges our community will face in the future. The exhibition demonstrates through photographs, artistic interpretations, stories and interactive activities for kids of all ages, the unique connection between humans and this precious and finite resource. There will also be a Water Fair including participants from local agencies dealing with water and conservation. In conjunction with Watershed Watch, and “Bright Green San José,” the environmental branch of the City of San José, the ‘spring cleaning’ will take place from 9 AM to Noon. The clean-up is for children ages 10 and up, as well as adults. Park clean-up registration begins at 9 am at the Phelan Avenue entrance to History Park. There is no charge for the creek clean-up, and everyone is invited to learn about the freshwater. Then at 2 PM on the Plaza at History Park, watch the “Water Wizard” Kathy Machado, with the Santa Clara Valley Water District, perform seemingly impossible feats with water. Refreshments will be available for purchase from Larry’s Hot Dogs, Mona’s Fruit, Treat Ice Cream in O’Brien’s Ice Cream Parlor and Tony’s Popcorn Cart. Admission is free, city parking lots $6. History Park is located at 1650 Senter Road (for GPS puposes, use 635 Phelan Avenue, San Jose, CA). Saturday, April 20: Earth Day / Arbor Day: There will be a concert by Linda Tringali, and Archaeology Dig with the Stanford Archaeology Students, and Litter Pick Up of Kelley Park. Sunday, May 19: Celebrate Sempre Virens 150th Anniversary, visit Andrew Hill and John Muir, and Dig San José: Public Archaeology Day for children at History Park. Admission charged. Sunday, June 19: Celebrate Father’s Day at History Park as we celebrate Historic Transportation Day with toy trains, hand car and trolley rides, sit in the Wells Fargo Stage Coach and listen to stories about early travel. Sunday, July 7: Gold Rush Family Day: this family-friendly event at History Park will highlight gold panning actiities for the children, which is also a great opportunity to play in water. Lion dancers will celebrate the contribution of the Chinese people to the Gold Rush. Admission charged. Saturday, December 14 is the Children’s Heritage Festival at History Park.